There are 6 Popular Caribbean Cruise Ports (Caribbean hot-spots) that just about all the major Caribbean Cruise Lines visit. The 6 top Caribbean cruise ports of call of call are: Nassau, Bahamas; Cozumel, Mexico; Grand Cayman, Cayman Islands; Ocho Rios, Jamaica; St. Thomas, USVI; and, San Juan, Puerto Rico. The weather in the Caribbean is the same on all these islands, so there must be another reason why Caribbean Cruise Lines’ itineraries always include them. The fact is that each island offers its own unique Caribbean treasures to cruise ship passengers and they enjoy going back. Let us look at why the following Caribbean seaports are included in the six (6) popular Caribbean Cruise Ports. Nassau, Bahamas is one of the 6 popular Caribbean Cruise Ports that allow ships to pull in close to the coast and dock at a pier. This is preferable to getting onto small boats (called tenders) out at sea to sail to the pier. But, Nassau is known for more. People love Nassau’s proximity to Paradise Island where they can visit the world renowned Atlantis Resort, plus enjoy the beautiful beaches of the Bahamas. All the major Caribbean Cruise Lines visit Nassau: Carnival, Disney, Holland America, Norwegian, and Royal Caribbean International. 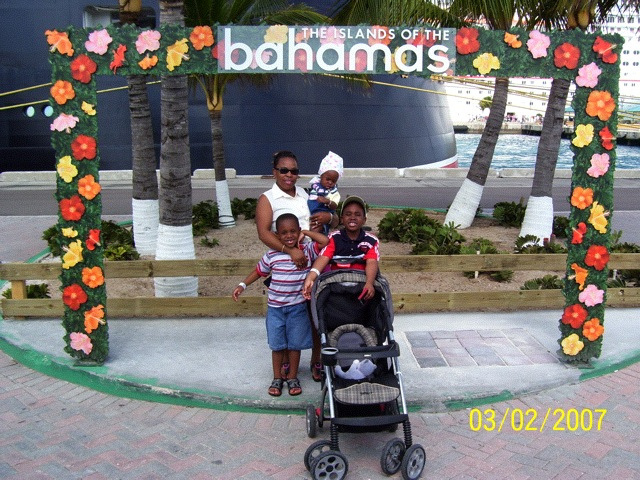 Click here to find cruises to Nassau, Bahamas. Over 1,000,000 cruise passengers visit Cozumel annually! This is indeed a popular stop. 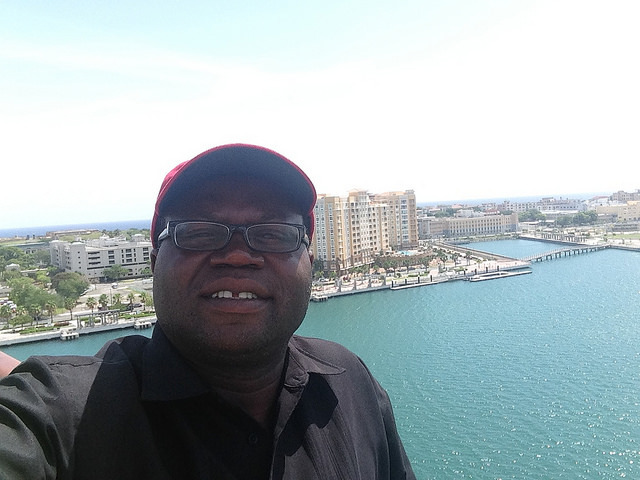 In fact, Cozumel was included in the itineraries of my family’s first and second inclusive cruises to the Western Caribbean. Like Nassau, Cozumel provides for the ships to come close to shore at a pier. You get off the ship and immediately you are engaged in the culture of the city, talking with the natives and bargaining for prized possessions. Cozumel is also known for scuba diving and great beaches. You will leave refreshed when it’s time to head back to the ship! The top cruise lines sailing to Cozumel are: Carnival, Celebrity, Disney, Norwegian, Princess Cruises and Royal Caribbean. Click here to find cruises to Cozumel, Mexico. 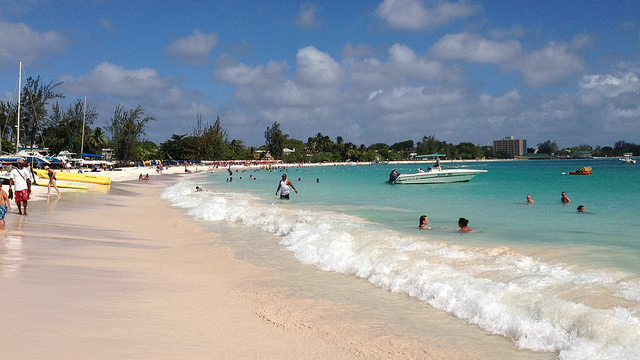 Grand Cayman is famous for its beautiful, white sandy beaches. There are the Seven Mile Beach, Owen Island, Sandy Point, East Coast Beach and more. You will also enjoy shopping in Grand Cayman. Additionally, Grand Cayman offers great excursions such as visiting a turtle farm. 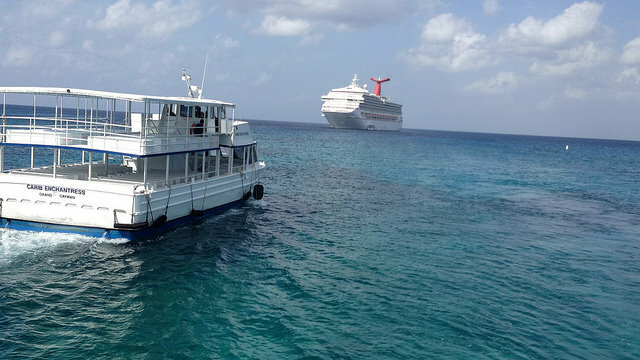 Unlike Nassau and Cozumel, the ship anchors out at sea and you will need to ride tenders from ship to shore and vice versa. The cruise lines sailing to Grand Cayman are: Carnival, Disney Cruise Line, Holland America, Norwegian and Royal Caribbean. 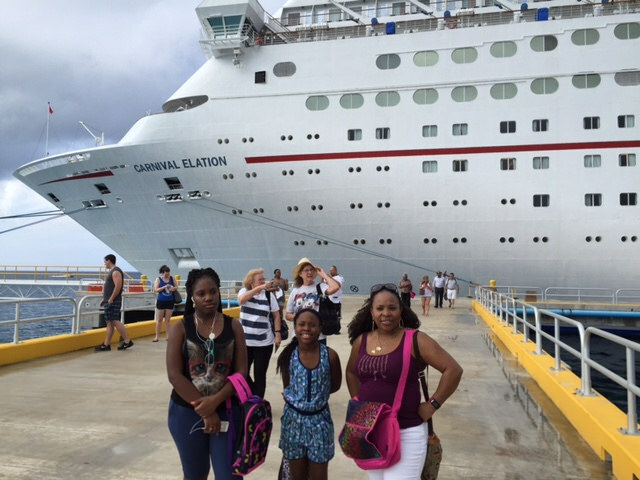 Click here to find cruises to Grand Cayman, Cayman Islands. You cannot visit the Caribbean and not find duty free shopping. In fact, the Caribbean offers many hot spots for shopping! But, without argument, St. Thomas is the mega shopping stop in the Caribbean. Yes, cruise passengers love to visit St. Thomas because there are so many products at great prices from which to choose. St. Thomas is similar to Nassau and Cozumel in terms of docking at the port. Additionally, St. Thomas offers great beaches and great golf courses. The cruise lines that visit St. Thomas are: Carnival, Celebrity, Norwegian, Holland America, Princess Cruises, and Royal Caribbean. 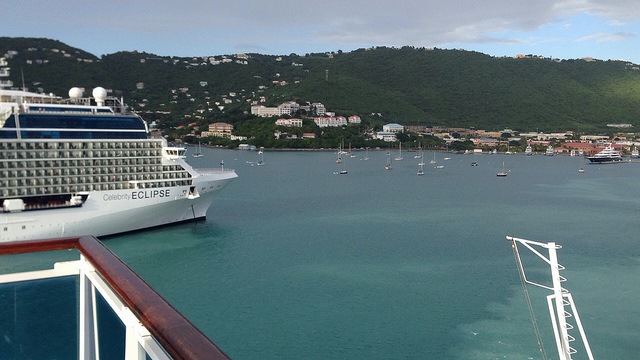 Click here to find cruises to St. Thomas, USVI. Think world famous waterfall (Dunn’s River Falls), great Caribbean food and music, immaculate beaches and you get Ocho Rios, Jamaica. In addition to the fun things mentioned above, Ocho Rios also offers great opportunities for shopping and several other exciting shore excursions. 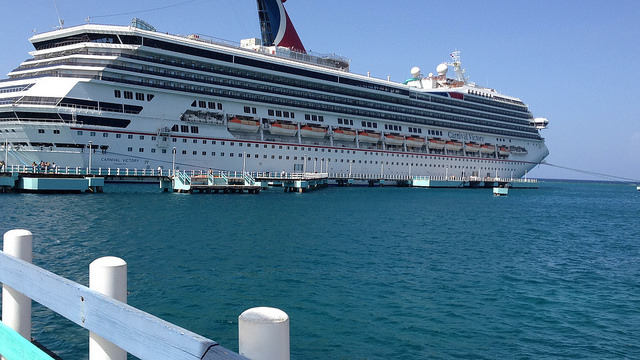 You will also be happy to know that your ship will pull right up to the pier in Ocho Rios. The major Caribbean Cruise Lines sailing to Ocho Rios are: Carnival, Holland America, Norwegian, Princess Cruises and Royal Caribbean. 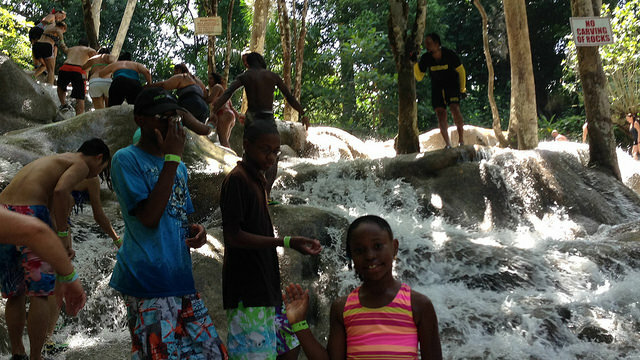 Click here to find cruises to Ocho Rios, Jamaica. People love the rich history of San Juan, and Old San Juan in particular. Caribbean cruise passengers also enjoy the tasty Spanish-influenced dishes of this U.S. territory. Plus the beaches are great too! You will love your visit to San Juan. In fact, there are some Caribbean cruises that originate from the San Juan Cruise Terminal. You may consider boarding a Caribbean cruise sailing from San Juan, and that will give you more time to enjoy the city. The top Caribbean cruise lines sailing to San Juan are: Carnival, Celebrity, Holland America, Norwegian, Princess Cruises, and Royal Caribbean. Click here to find cruises to San Juan, Puerto Rico. After you have visited the above listed ports of call, you will agree that they are indeed popular Caribbean cruise ports. How many have you visited? Time to get busy.